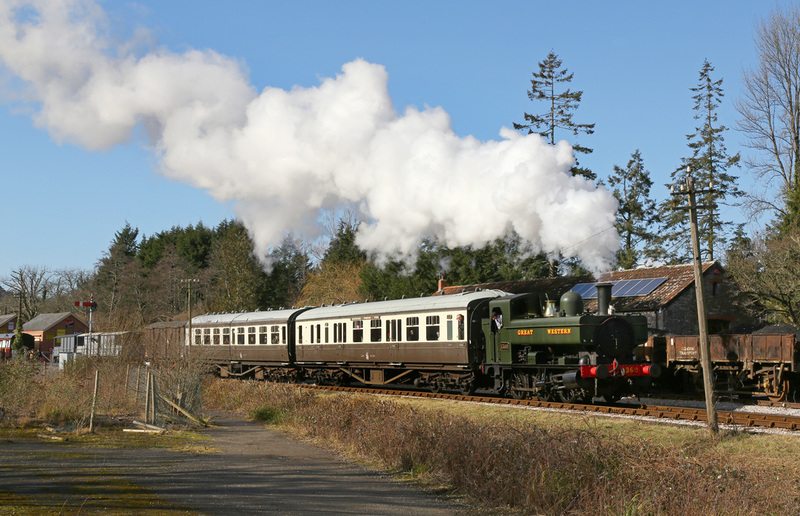 Between Saturday 14th and Sunday 22nd February 2015 the South Devon Railway held a 'Branch Line Week' coinciding with the School Half Term. 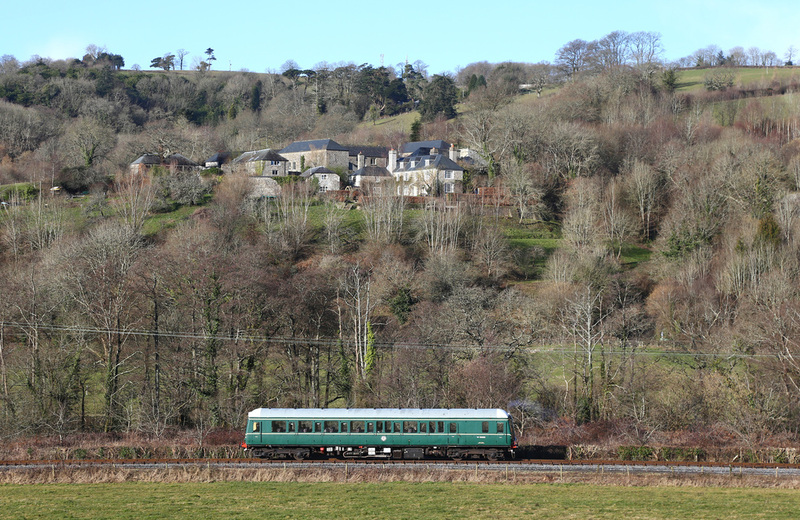 The railway is often described as “the quintessential former GWR Branch Line” provided prototypical services using an array of period rolling stock, steam locomotives and also utilised the lines resident Class 121 Diesel Multiple Unit. 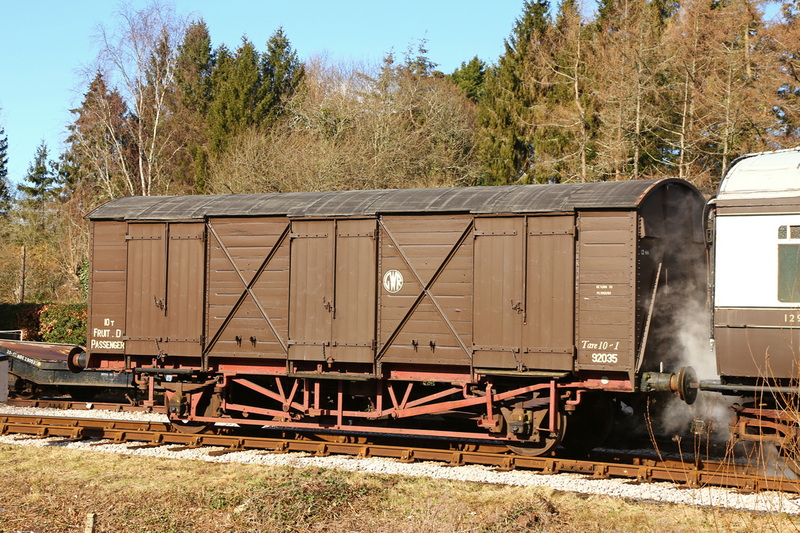 BR Black liveried small Prairie Tank No.4566 (visiting from the Seven Valley Railway) was also operating freight and passenger services. 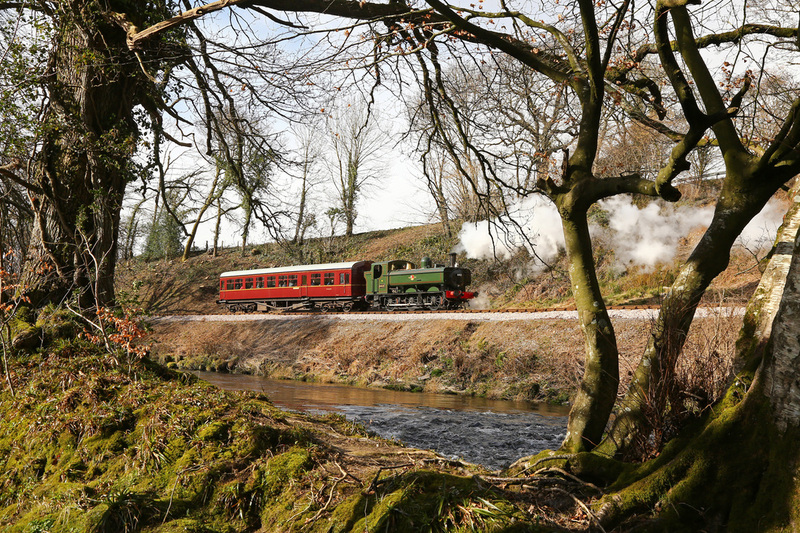 GWR 0-6-0 Pannier Tank No.6412 returned to operation following a seven year long overhaul, having previously been purchased from the West Somerset Railway. 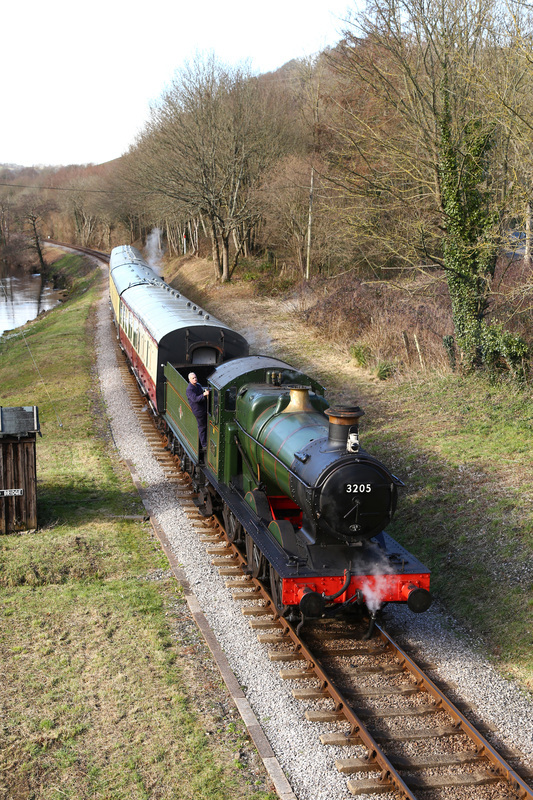 The locomotive had been returned to service wearing British Railways lined Green livery, which suits the small tank engine. 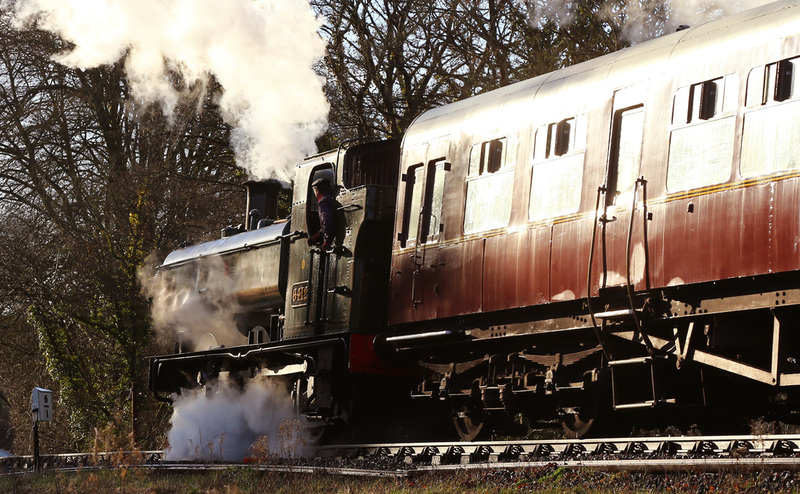 GWR 0-6-0 Pannier No.1369 also celebrated it's 50th year in preservation on Saturday 21st February. 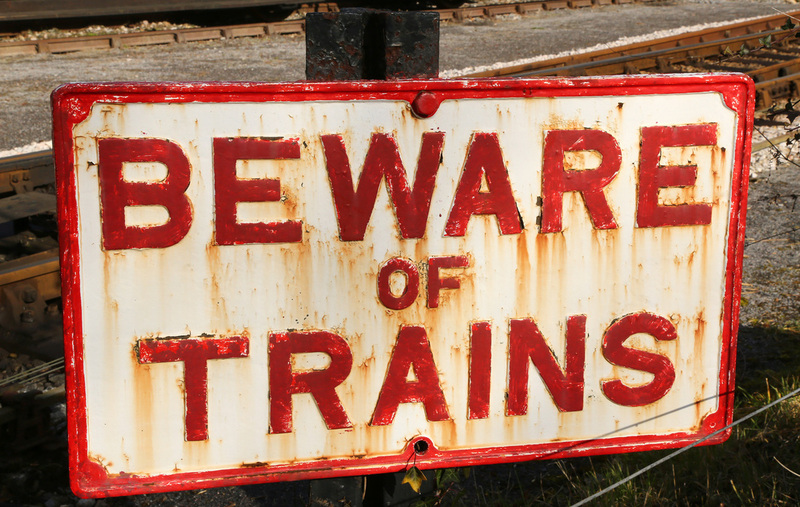 The event was well attended with trains well loaded. 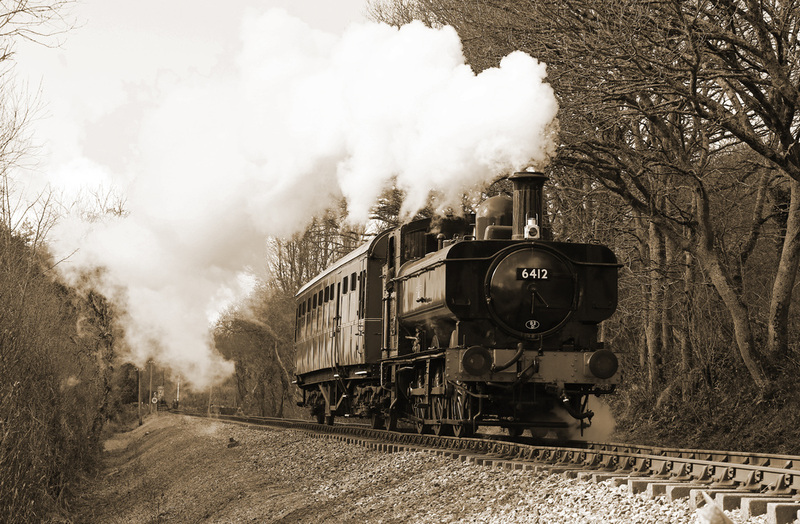 An intensive timetable was operated. 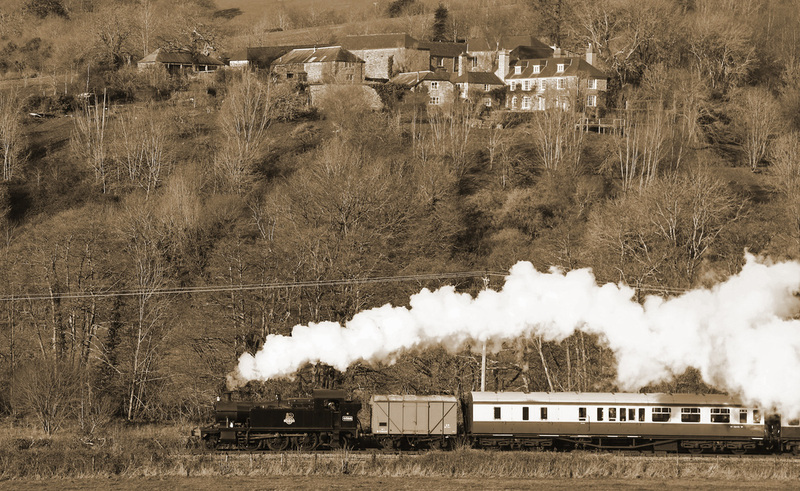 GWR Pannier Tank No.6412 heads for Totnes with the 08:30 Buckfastliegh - Totnes service with Autocoach No. W225 in tow. 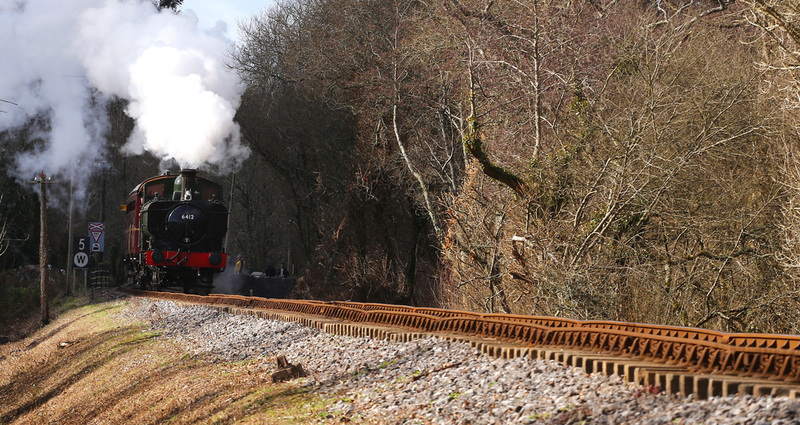 The driver checks the road ahead as GWR Pannier No.6412 approaches Caddaford Curve shortly after departing from Buckfastleigh. 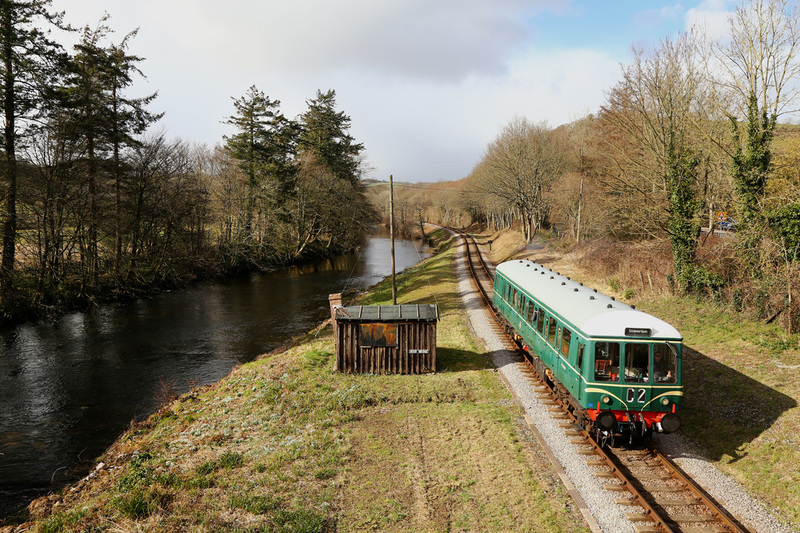 BR Class 121 Bubblecar No.W55000 rolls slowly along the Caddaford Straight with the 09:15 Buckfastleigh - Staverton service. 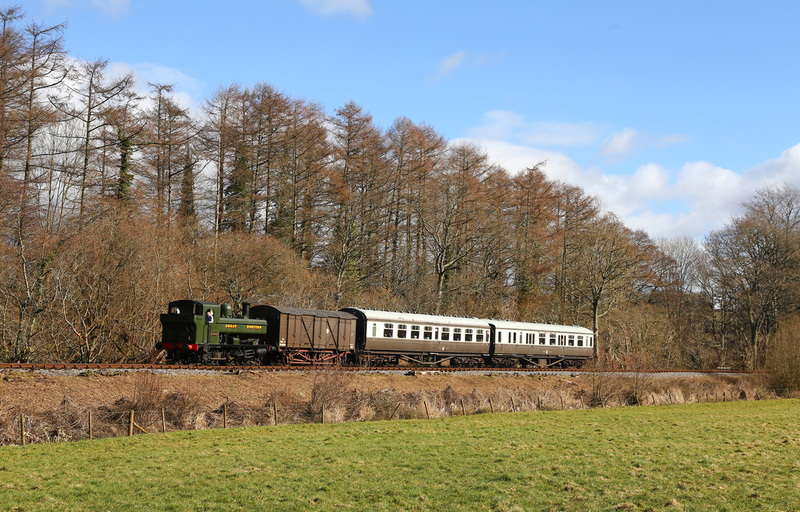 GWR Pannier Tank No.6412 pushes Autocoach No.W225 towards Buckfastleigh with the 09:30 from Totnes, also conveying a single milk tank. BR black liveried Prairie Tank No.4566 arrives into Staverton running bunker first hauling the 10;30 from Totnes to Buckfastleigh. 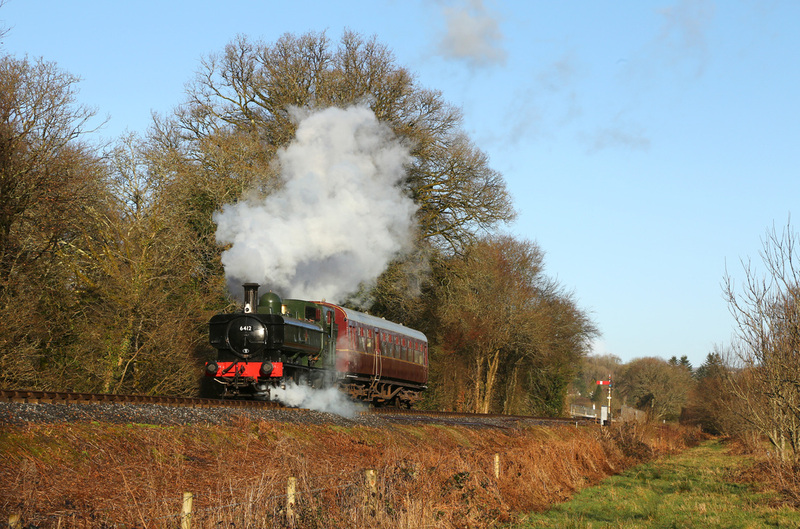 GWR Pannier Tank No.1369 celebrates its 50th year in preservation departing from Staverton with the 10:30 from Buckfastliegh to Totnes. 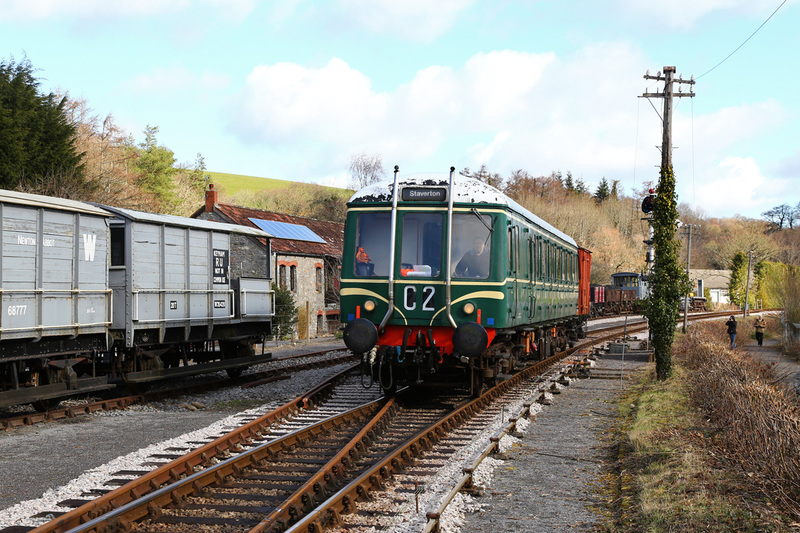 Class 121 Bubblecar No.W65000 arrives into Staverton with the 11:08 from Totnes to Staverton, also conveying a single van. 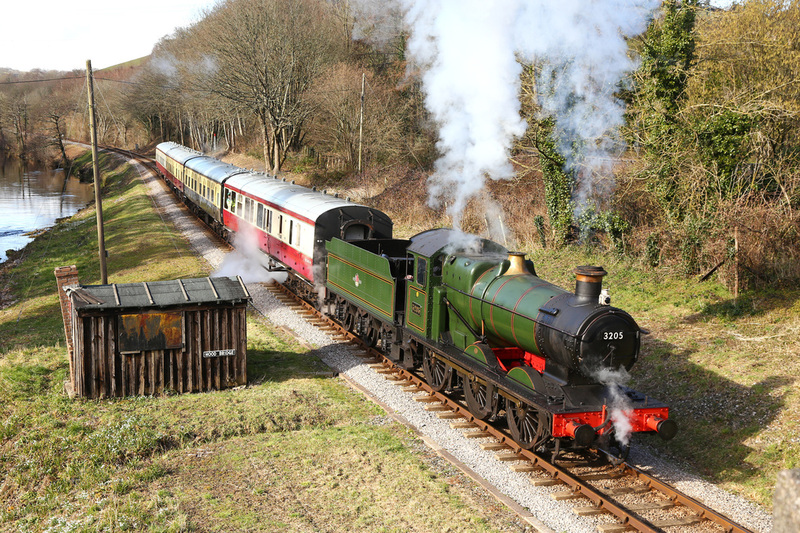 GWR Pannier runs bunker first towards Nappers Crossing with the 11:30 from Totnes to Buckfastleigh. 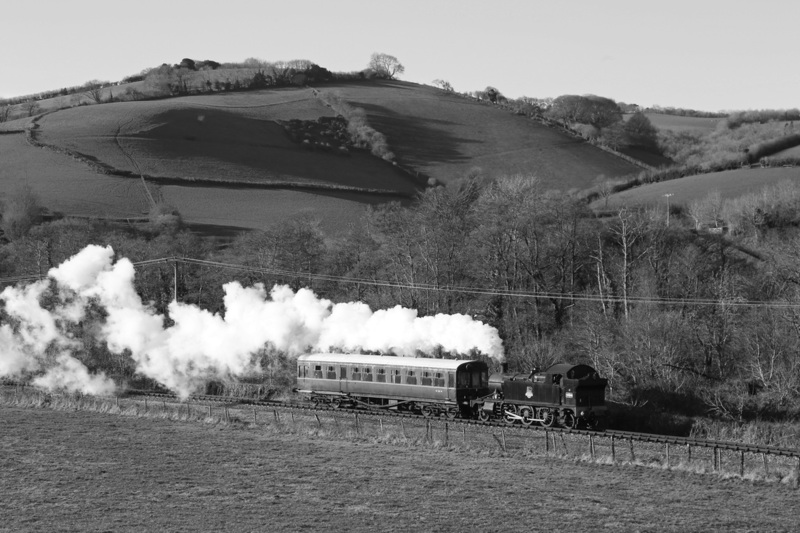 GWR Collett No.3205 heads towards Totnes shortly after passing Nappers Crossing with the 11:30 Buckfastleigh - Totnes passenger service. 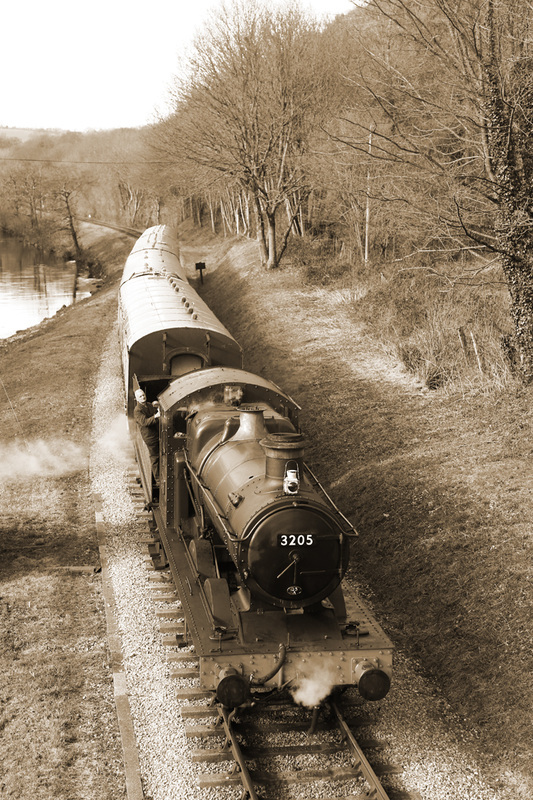 GWR Pannier Tank No.6412 departs from a breif stop at Nappers Crossing while operating the 12:08 Staverton to Totnes. The dips in the jointed track along this section clearly visible, giving a nice authentic ride quality for the passengers. 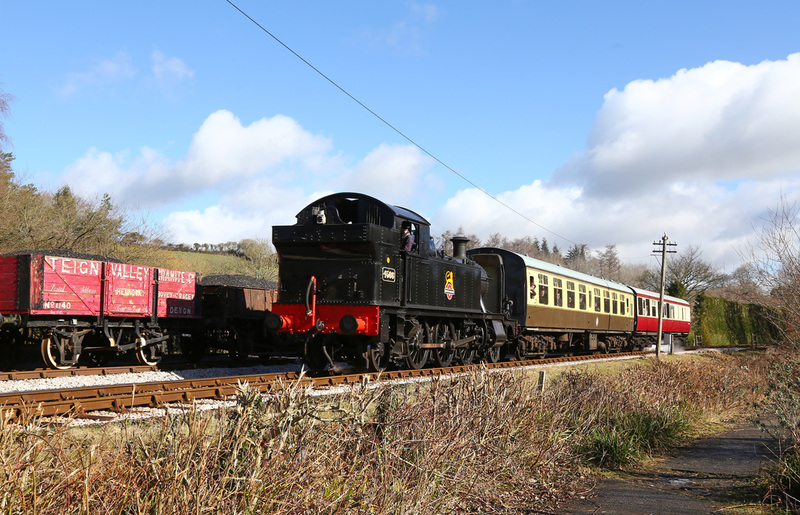 Class 121 Bubblecar No.W55000 passes Hood Bridge while on route to Staverton with the 13:10 from Buckfastleigh. GWR Collett No.3205 pauses at Hood Bridge with the 13:30 Buckfastleigh - Totnes waiting for shunting to take place at Staverton before being able to continue onwards. 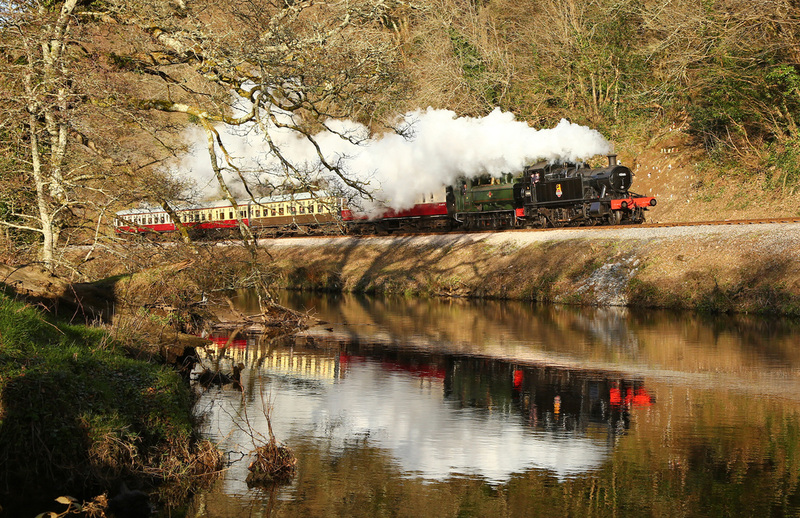 BR Black Prairie Tank No.4566 (from the Severn Valley Railway) leads the 13:30 Totnes - Buckfasteligh through Hood Bridge alongside the River Dart. 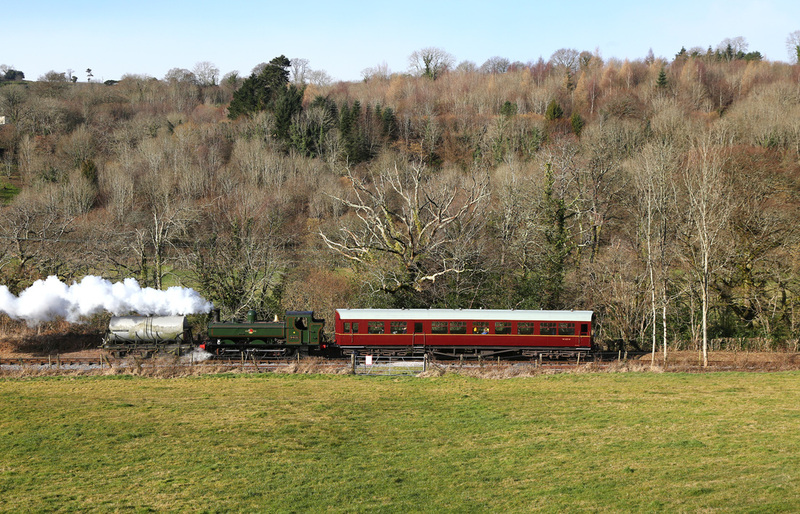 GWR 0-6-0 Pannier Tank No.6412 pushes Autocoach No.W228 on the 14:12 Staverton - Totnes alongside the River Dart. 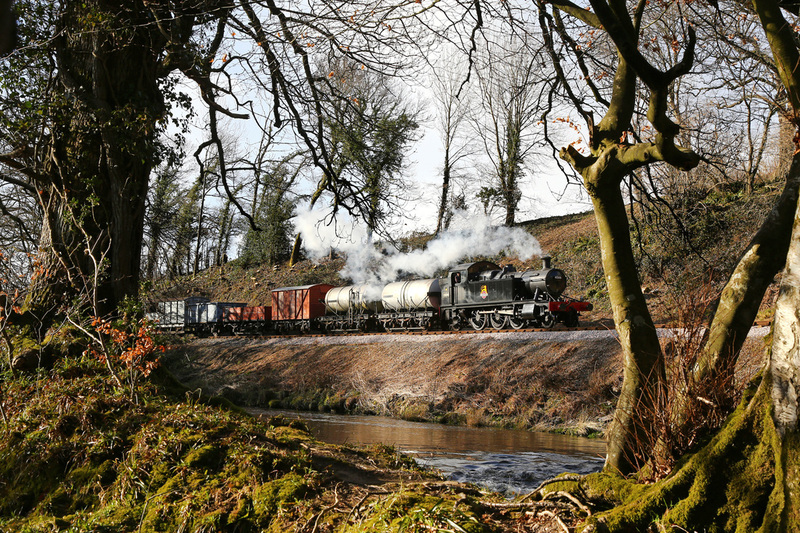 Visiting BR Black Prairie Tank No.4566 runs alongside the River Dart while hauling the 15:03 Buckfastleigh - Totnes service nearing Hood Bridge. 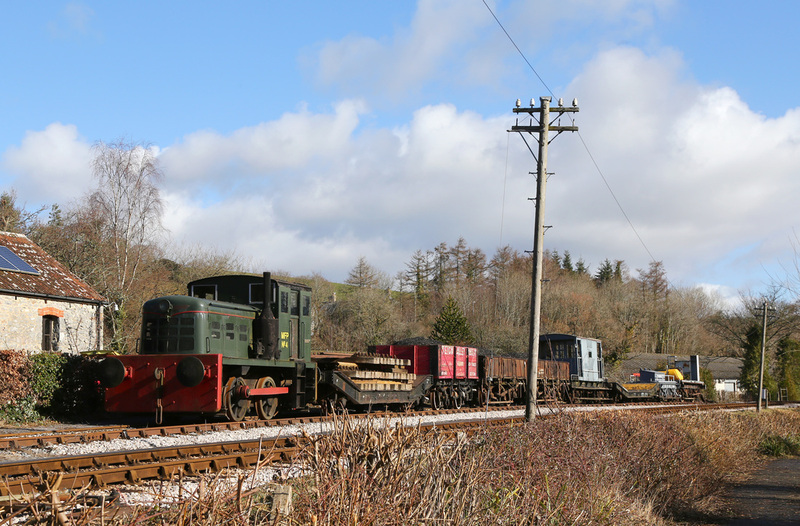 Having deposited its freight train at Staverton BR Black Prairie Tank No.4566 and GWR Pannier No.6412 double headed the 16:30 from Buckfastleigh to Totnes from Staverton. 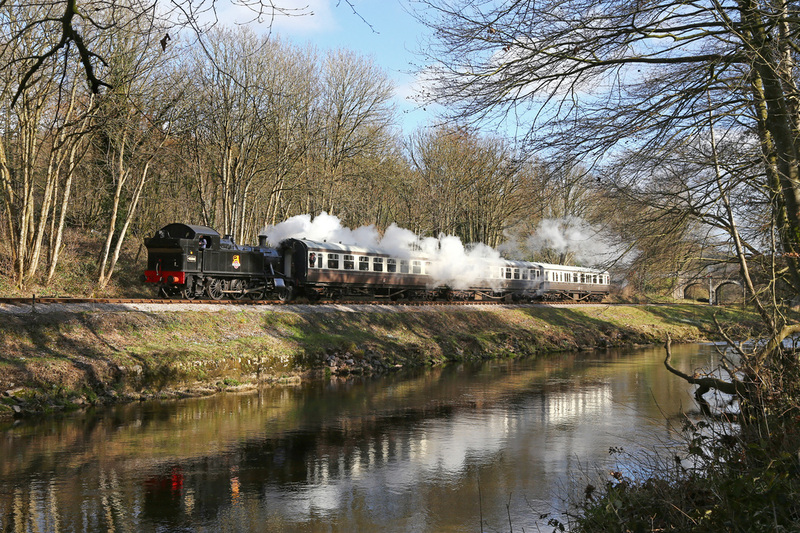 The pair are pictured running alongside the River Dart at Dartington. The driver waits for the signal to drop as GWR Collett No.3205 waits at the outer home signal situated at Hood Bridge while working the 13:30 from Buckfastligh to Totnes. 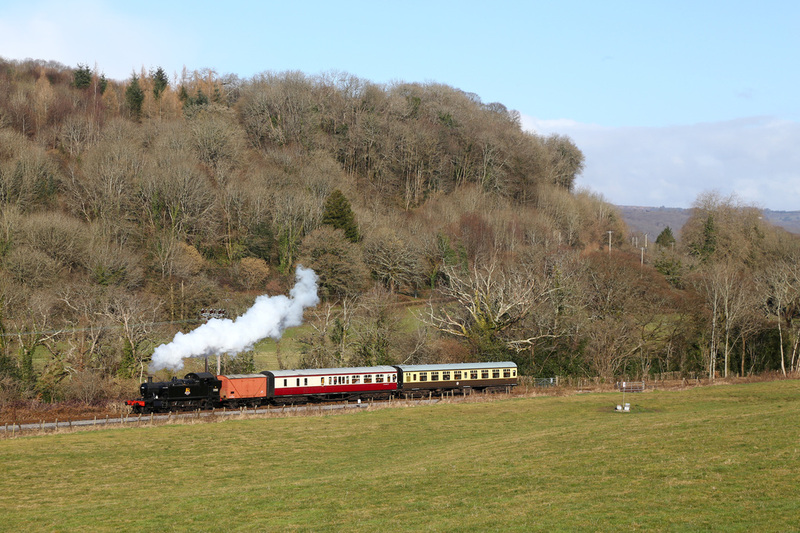 BR Black Small Prairie Tank No.4566 clanks along the Caddford Straight hauling the 09:30 Buckfastleigh to Totnes. 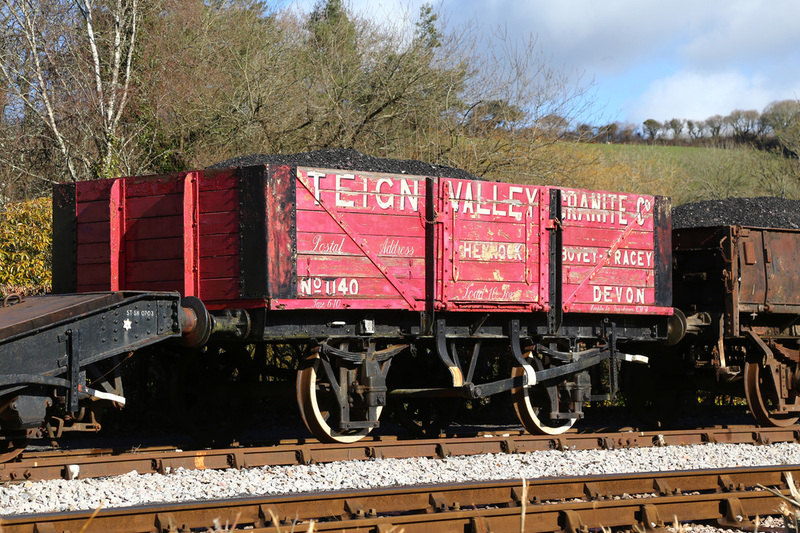 Recently restored after a seven year overhual GWR Pannier No.6412 fits back into the heritage scene on the South Devon Railway hauling Autocoach W228.